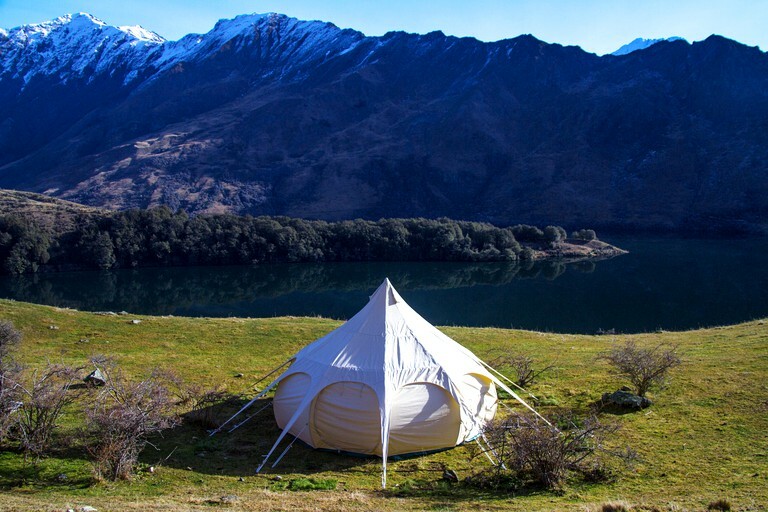 This luxury bell tent rental can be found in the spectacular region near Queenstown, South Island, and is the perfect accommodation for up to four guests looking to have the ultimate glamping experience in New Zealand. 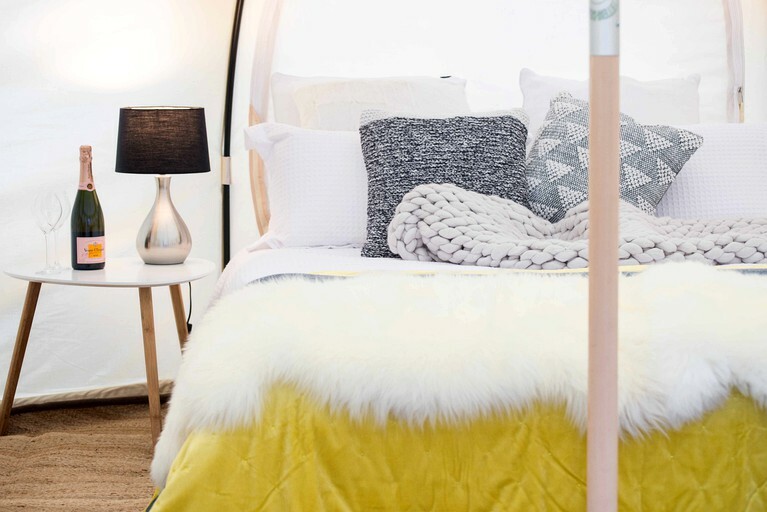 The first high-quality tent has enough space to fit two in a comfy queen-size bed and a small coffee table set with chairs. 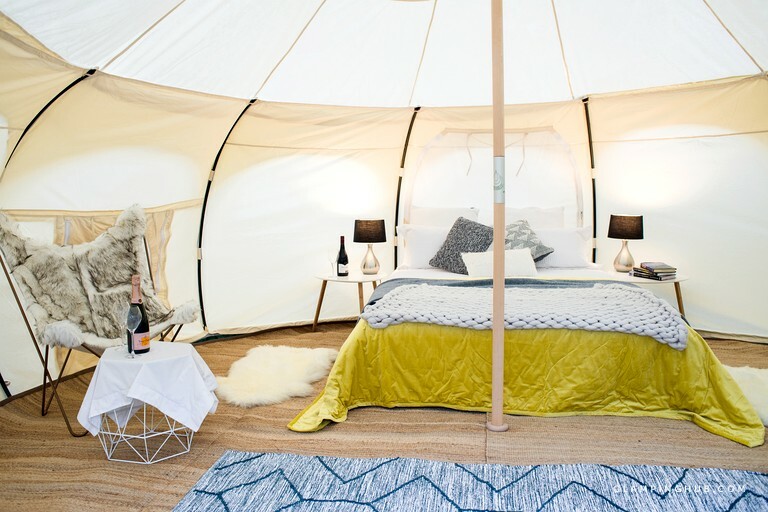 The second high-quality tent fits four guests, having a queen-size bed for two guests, and a sofa bed that can accommodate additional two guests. 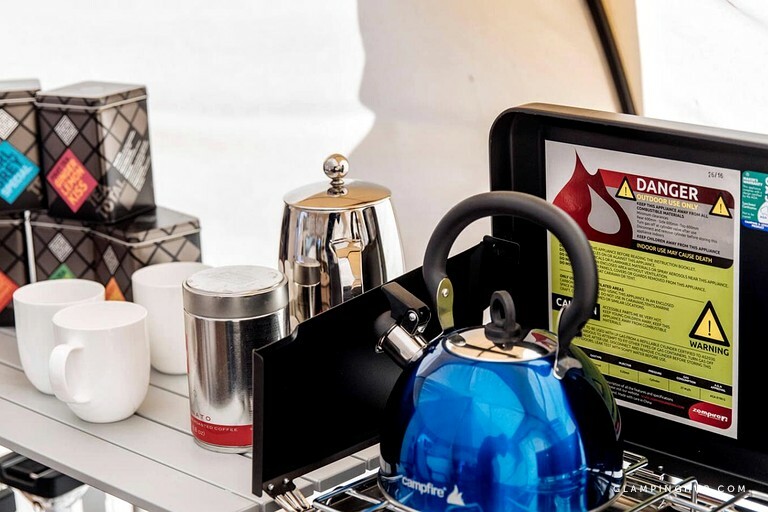 The tent comes with solar-powered lights and provisions for charging cell phones and small devices. 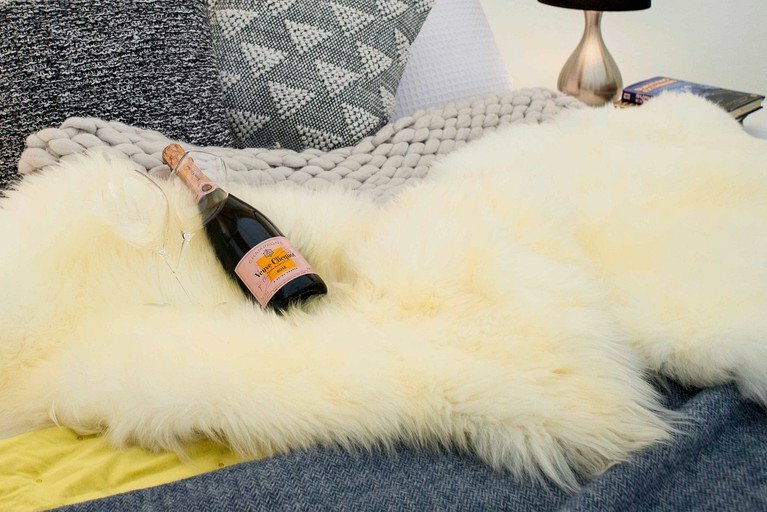 Fine linen and wool blankets are provided for the utmost comfort of guests, as well as mohair and wool throws, sheepskins, cowhides, plush dressing gowns, possum socks, and puffa jackets. A well-appointed private bathroom with a toilet and an enclosed shower sits a few feet from the tent which makes it convenient for campers. Towels and bathroom essentials are supplied without extra charge. The campsite comes with a trailer that doubles as a mobile kitchen loaded with cooking facilities such as a gas hob, a sink with a clean water supply, and ample space for preparing food. It also comes with cookware, utensils, and crockery. There is also a grill for those who love barbecues. Guests are also provided with a hardwood table for alfresco dining as well as weatherproof bean bags for cozy nights watching the majestic sunset over the lake. 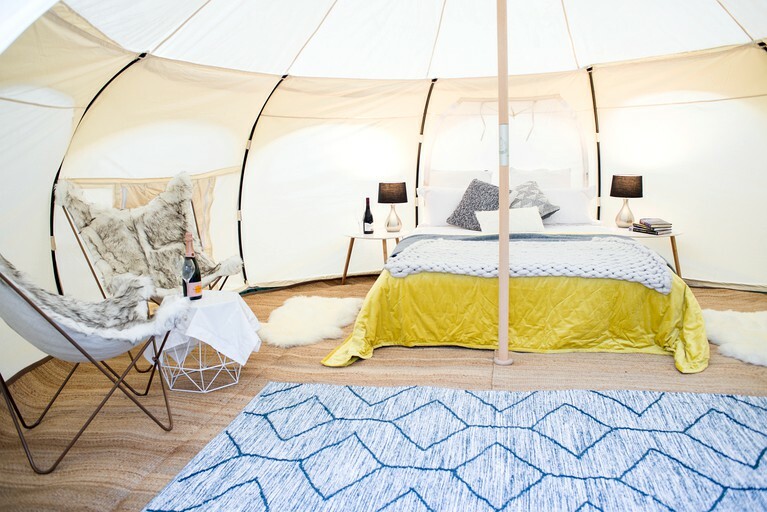 This luxurious tent rental is a glamper's dream come true. 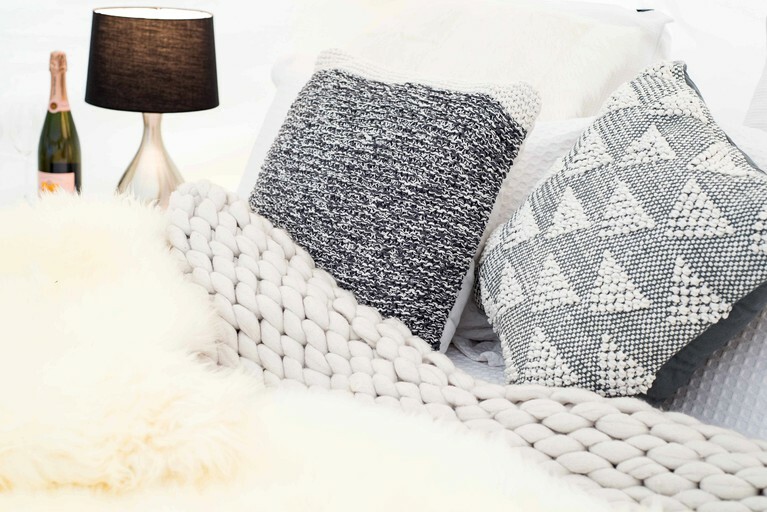 It has enough space to fit in a lavish queen-size bed, wool-covered chairs, and a small coffee table. Solar power lights up the tent at night and also allows guests to charge cell phones and small devices. 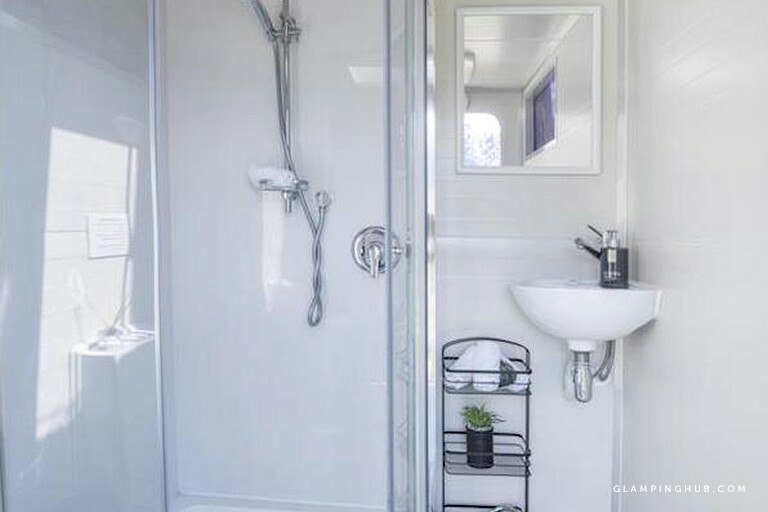 A separate modern bathroom with a toilet and enclosed shower is provided on-site. Towels, linens, and other bathroom essentials are supplied for free. Campers who want to fix their own meals and enjoy cooking in the great outdoors are given access to a mobile kitchen with a gas hob, a sink with hot water supply, and ample space for preparing meals. Guests are also given the choice of eating out in the open with a hardwood table and chairs or inside the tent. The hosts can provide a private chef or fill the chilly bin with a cheeseboard and wine if guests wish; all they have to do is inquire. 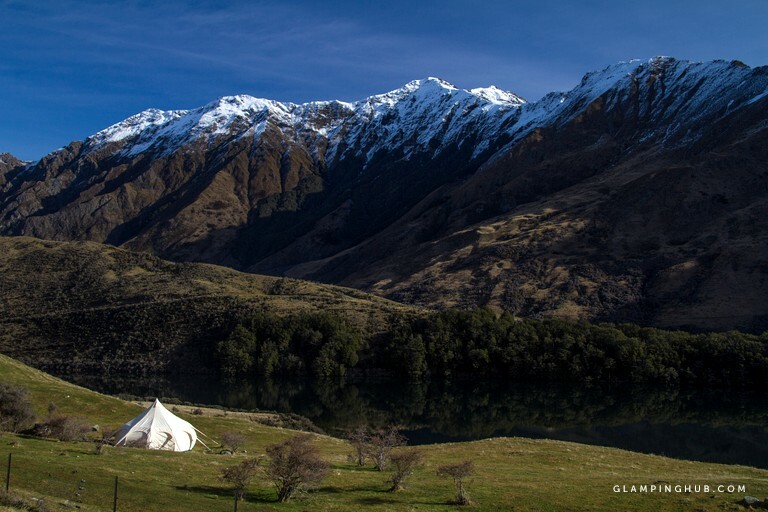 This beautiful glamping site is nestled in a vast Merino sheep farm close to Queenstown. 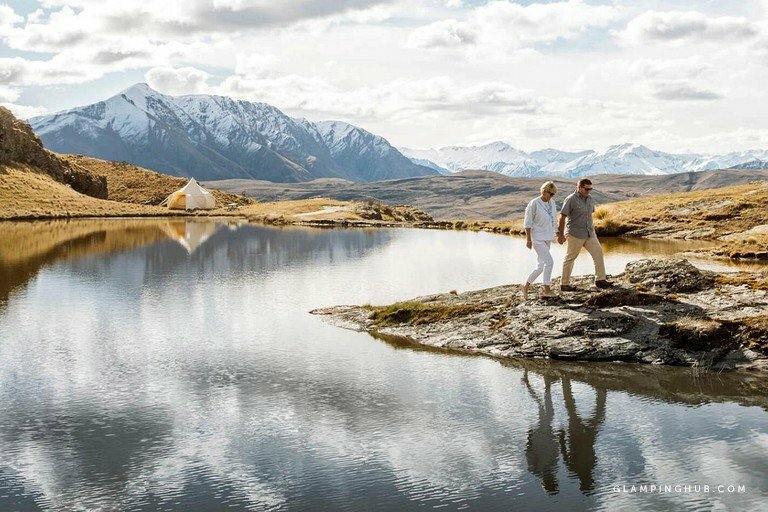 There are hikes right on guests' doorstep, including the 1.5-hour loop track around Moke Lake and the much longer "Moonlight Track." The lake is shallower than the large Lake Wakatipu, so it's not as cold and great for a summer swim. The hosts can arrange kayak and SUP hire if guests wish to spend a day playing in the water, in addition to 4WD off-road buggy tours. 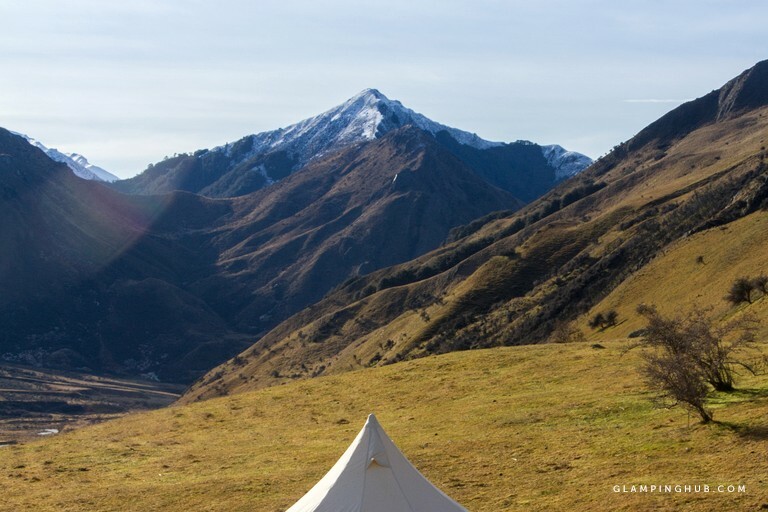 Guests will be picked up from their tent by an experienced guide, who will then take them all across Ben Lomond station, where guests can meet the farmer and the sheep. If they fancy a helicopter flight, either to arrive at the tent or just as a day trip, that can also be arranged. Ben Lomond horse treks is also just a very short walk away. In the surrounding area of Queenstown, there are endless activities, from jet boats and bungee jumps to skydives and bike trails. Smoking is strictly prohibited on the property. Additional guests are only allowed with prior arrangement. During the summer no campfires are permitted as there is a very real risk of wildfires at this time.